Ask fellow campers about "El Chorro Regional Park Campground" and nearby attractions. 18 dry sites. Best I could tell they grossly underestimated the length of the pull throughs. 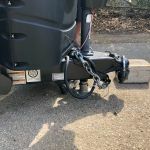 I think ours was quoted as 50 foot and it fit our rig, 53 ft truck hooked up, plus easily enough length for another pickup . With all the rain, mud was a factor, off the graded gravel roads and sites, on gravel was fine. Pads were remarkably level side to side. Though mud was a gactor, there was also lots of wild grass and no dust, both due to the daily rains. We get half off at state parks so Morro Bay SP would have been cheaper, but this park is unique and right were we needed to be for the weekend. Nice picnic tables and solid fire rings. We camped at El Chorro Regional Park Campground in a Travel Trailer. Check the size carefully if you go for the hookups in the upper loop. Many of those would be tough with our long bed crew cab and 30 ft toyhauler. Very nice regional park - lots to do; golf course, botanical gardens, hiking trails, dog park. Like most county parks restrooms old but very clean - showers $1 in quarters for 5 min. There were very few campers when we were visiting there was a host at each loop but we never saw or spoke to one; the county workers did the site posting and garbage collection. One irritant was the dog charge $3.50 per dog per night so our nightly stay was $50.50. The area was so green and pretty - real close to Morro Bay and San Luis Obispo. We camped at El Chorro Regional Park Campground in a Travel Trailer. The Costco in San Luis Obispo offers the best gasoline prices in the area. A nice park in an area with a good winter climate. The regional park has golf, hiking trails, garden. SLO is 5 miles away for shopping, movies, etc. We camped at El Chorro Regional Park Campground in a Fifth Wheel. Any online reservation ( even one day ) gets a $9.00 reservation fee. I'd look at the site, and if it doesn't look busy, just show up and avoid the fee. The showers *were* a good deal at ~5 minutes for a buck, but they have recently replaced the shower heads with low flow heads, and now it takes ~2 minutes for the barely warm enough water to warm up. If you like cold showers, it's the place for you! The park was ok. There was not a lot to do there with kids. Seems like a lot of people live here full time a much older crowd. We camped at El Chorro Regional Park Campground in a Travel Trailer. You can golf and ride bikes around the grounds. We really enjoy this location to escape the summer heat (3rd trip/visit). Privacy in some sites is very good with room for screen room tents on sites. Romauldo Loop is for larger rigs. Chumash Loop for smaller rigs. Some of inner circle sites in Chumash have the hookups on the wrong side. Former 18 hole golf course is now 9 hole golf course (path from Romauldo Loop to club house); which is an improvement as fairways are now playable. Can reserve a year in advance, which gets you prime sites. 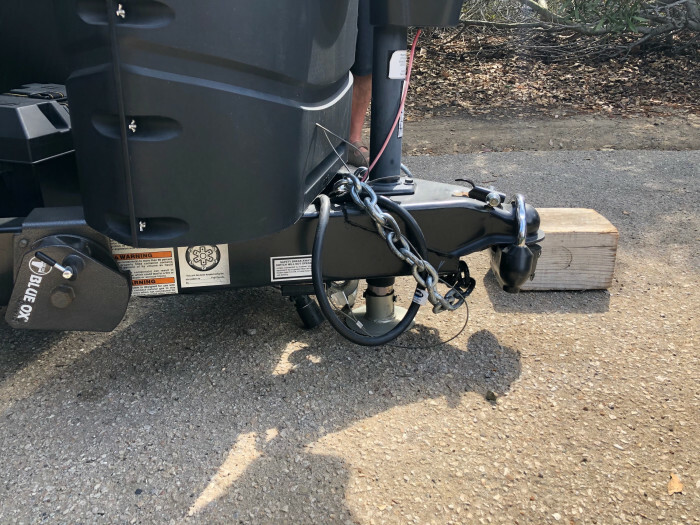 This site has significant slope to back, so our hitch is to the asphalt and our rear stabilizers are on levelers so as not to fully extend them. Able to use satellite with DirectTV. AT&T is good for streaming movies/TV. No wifi. We camped at El Chorro Regional Park Campground in a Travel Trailer. As others have stated, great kick-off sight seeing at Hearst, Morro Bay and San Luis Obispo. Fun to watch the otters near Morro Rock as well as the peregrine falcons. Elephant seals are past Hearst Castle. Great lunch at Ragged point. 30 mins from wine tasting in Edna Valley or Paso Robles. Excellent hiking trails. I use the All Trails app on smart phone to find trails. We have a 24' Class C motorhome and stayed in Romauldo 12 this time as a result of a last minute cancellation we got in here. The site was a drive through that allowed our MH plus toad to be fully pulled through with no problems. Being that this site has excellent foliage on both sides shade was never an issue. There's a creek that runs along the East side of the site where we were serenaded by frogs and found for the first time that the campgrounds were exceptionally quiet for a combo Fathers Day/ Grad weekend for the CSSLO grads. Being In Romauldo you are the furthest North of highway 1 so road noise was minimal (I slept in a tent while my family stayed in the motorhome) and the only issue for my tent sleeping was the frogs periodically starting and stopping. Well kept restrooms and if you just need to do your business and find the restroom being serviced you can head to the restroom by the baseball diamond SE of the grounds. Reservation fee on top of the nightly fee is $9.00. Site 12 also is quite large for the firepit and tables and now my preferred place to stay in the campgrounds (this is our 5'th stay here. We camped at El Chorro Regional Park Campground in a Motorhome. 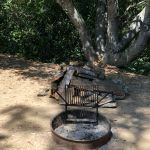 This campground is about 5 miles outside of San Luis Obispo and close enough to shopping and Morro Rock. I highly recommend Giuseppe's Cucina Rustica in SLO and if you get there early enough their Kobe Burger is to die for. We like the location between SLO and the beaches at Morro Bay. The small size of the park helps make it a quiet place to stay. Unfortunately, it is a good enough park in a good enough location that getting a site isn't easy unless you plan in advance. The roadway is tight but I managed to get my 30' trailer and truck through without any trouble. Be prepared for a little road noise at night when it is really quiet. Some of the spaces are right next to each other and some almost seem like your are in your own private park. No internet, but my cell phone hotspot worked just fine. We camped at El Chorro Regional Park Campground in a Travel Trailer. A don't miss is the Thursday evening farmers market in SLO. 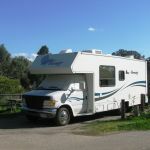 The campground is located conveniently to the SLO and Morro Bay area. The sites are spaced adequately so you are not right on top of the next site. There is vegetation barriers around most sites. Although we were unable to park in our original pull thru site we reserved (due to damages to the electrical post from the prior occupant) we were accommodated with an alternative back in site. It met our needs, and there was enough space available for an additional vehicle for our family who spent the time camping with us. We would definitely stay here again. We camped at El Chorro Regional Park Campground in a Fifth Wheel. Check out the embardcadero in Morro Bay and also Morro Rock. Travel north on 1 to Hearst Castle north of Cambria and also be sure and go just a mile further north to see the Elephant Seals. Lots of the things to see, do and great places to eat too!! Great location to San Luis Obispo which is a fun town with excellent shopping and dining. The grounds were very clean. This is a well maintained park. Bathrooms are also clean. I didn't use the showers but they looked nice. The roads are TIGHT. I had to move my car twice for neighbors to get in. Once so the 5th wheel in front of me could get in and then again for another 5th wheel next to me to get in. There are a few pull thrus which are huge. That's what you should target if you're a larger rig. Strong 30 amp FHU (no 50 amp available). OTA was good. For cell, I used a booster and pulled in 14mbps for ATT, 9mbps for Verizon and 19 mbps for T mobile. W/out a booster you would have still been able to stream with decent signal. Lots of good walking trails and a huge dog park in the day use area. For a day trip, Solvang was super awesome. I would stay here again but just be prepared to inch your way into your site and hope your neighbors are around to move their cars if necessary. We camped at El Chorro Regional Park Campground in a Motorhome. Nice quiet park, lots of small spaces as described by others. I would recommend Ramauldo #13 if you have a big rig. Make reservations for any big rigs so you can fit in. Walking paths, dog park, large regional park area. Definitely deteriorating because of the Calif. drought. Things have not greened up yet and are still brownish. I think the entire park needs some tender loving care in the day use and the campground. Was charged for my pet $3.50 per day and was not charged for my automobile that I tow behind the motorhome. We would come back. 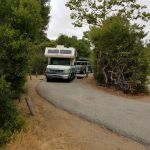 We camped at El Chorro Regional Park Campground in a Motorhome. Downtown SLO is very cute and busy, all sorts of local and big stores to shop at. Morro Bay is beautiful, lots of beaches both north and south of here. Fog comes in, makes it cool here in SLO when it can be in the 100s further inland. Good county park when staying close to San Luis Obispo or Cal Poly. We have a 40' motorhome, which was able to navigate the loop roads. HOWEVER, be careful if approaching the access road North bound on highway 1! There is a stop light at this intersection, and the turn is sharp into the park. When cars are waiting on the access road for a green light, it is IMPOSSIBLE to make the right turn into the park with a big rig. Your only hope is to stop in the right lane of the highway, and wait for the the traffic to clear. South bound access is fine, as there is a left turn lane. There are several big rig sites, primarily in the first (dry camping) and 3rd loops. However, they fill up fast, so reservations well in advance are advised. Sites are not perfectly level, and backing in is tight in many cases. Hosts are evident in each loop. Park shows signs of budget cuts. Maintenance is poor and campground cleanliness is not the best. Park is very quiet at night - we did not hear highway traffic at all. This is a pleasant park to stay at, and we would come back. 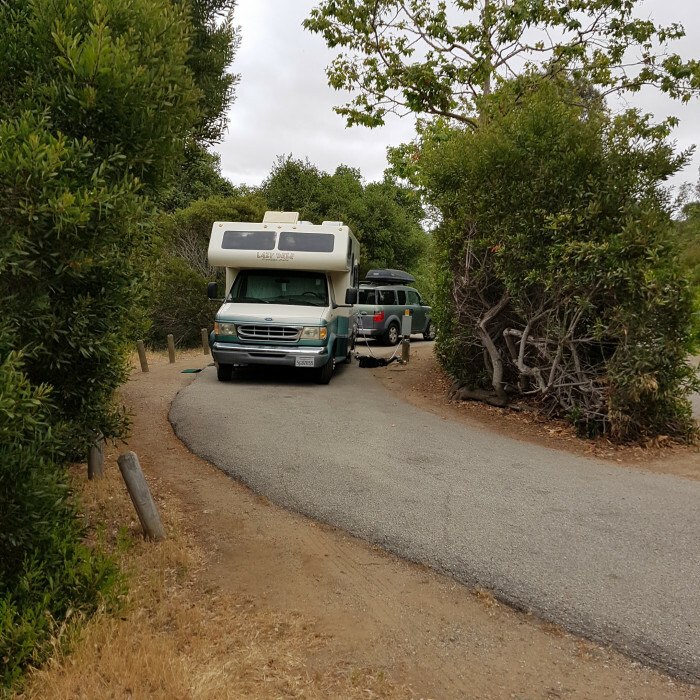 We camped at El Chorro Regional Park Campground in a Motorhome. Golf next door. Huge dog park below. Cal Poly. Hearst Castle. Beaches. San Luis Obispo. Great facility if you have a rig that will fit. This is largely a park made for yesteryear's smaller, non-slide rigs. Campground (not an RV park) looked to be 3 loops. The first lacked hook-ups. It appeared to be newer due to the lack of mature trees. We needed a site that we could fit our 37' Class A with 3 slides, our CR-V, and rooftop satellite TV clearance. We.found one vacant site that would absolutely have worked. One occupied site that would have. One unoccupied site that might have. Note that we were in the car scouting sites mid-day on a Saturday, intending to come in the following Monday. The perfect vacant site was booked most days for the upcoming two week period. That was disappointing, but the deal killer was the additional charge for a dinghy. $35 for a FHU (30 amp) site in a beautiful campground is pretty good. $15 each day for our toad if we unhook it . . . You must be kidding. For $9 more we booked a deluxe, FHU site (70' x 45') available for our entire planned visit, at a private park in Morro Bay. El Chorro is a beautiful facility, but it didn't work for us. We camped at El Chorro Regional Park Campground in a Motorhome. We stayed at Romauldo 9 in August for 11 days and Romauldo 13 last May for 7 days. These sites accommodate the largest rigs, but many of the other sites could accommodate our 37' trailer. The sites were about 2 to 3 inches out of level. Pads were asphalt with ragged edges, which made deployment of our wheelchair lift more difficult, but doable. The restroom was about 100 yards away. RV sites are on the Western side of the park. The dog park, picnic areas, botanical area and trails are on the Eastern side. The two sides are connected by a bridge over dairy creek. Difficult to negotiate with a power wheelchair, but we did it. I hiked the trail up to Eagle Rock several times and enjoyed the view out toward Morro Rock. The trail splits near the top with the left trail going through a beautiful oak forest. The camp host for our area was very helpful. There are a several over-the-air TV stations available. Many are Spanish speaking. My wife said she likes this park better than Morro Bay State Park. The climate is warmer near San Luis Obispo than Morro Bay near the beach, but flying insects were a small problem. We will definitely visit this park again. We camped at El Chorro Regional Park Campground in a Travel Trailer. This was a great campground for us. It's a few miles out of San Luis Obispo, but still close enough that going to town to do some shopping (everything from Supermarkets to The Apple Store). We loved the very natural setting in a county park, with lots of trees and wildlife nearby. There was some persistent road noise from US-1 nearby but it wasn't too annoying. What worked especially well for us were all the places we could walk our dogs nearby. The county park includes a huge fenced dog park (with picnic tables, bathtubs, and more) which was less than a 1/2 mile walk from the campground. There's also a relatively easy hiking trail (some parts are a little steep uphill) which is about a three mile loop from the campground. We were there before the summer season started on April 1, so there was no staff except for the two camp hosts (no check-in, no office, etc.). Our Verizon and AT&T both worked well. The only potential downside is finding a good site for a large motorhome. There are three loops: Bishop (B) has enormous pull-through sites suitable for any sized rig, but has NO hookups (and there's no dump station). Chumash (C) is the prettiest loop but is mostly designed for tents, vans, and very small RVs. There are a few sites in C that can fit a 36-38 foot motorhome. Romauldo (R) is mostly long sites that can fit very large motorhomes, but the sites there are awkwardly arranged, many having large/dense shrubs along both sides of the RV, with the camping space (picnic table, fire ring, etc.) being behind the RV instead of next to it, which looked awkward to us. Many of the sites are also very unlevel. We camped in (R) for a few days and had to put three wood blocks under our front tires and leveling jacks, and still weren't quite level. We then moved to (C) when one of the few larger sites there opened up. Would we stay here again? Absolutely! We really enjoyed our stay, and the price was great. We will just be sure to reserve a large site well in advance. We camped at El Chorro Regional Park Campground in a Motorhome. Be sure to visit the San Luis Obispo farmer's market and food festival every Thursday at 6pm! This little park is a hidden gem. We got in here when other campgrounds in the area were completely full and this one was not. Trees and shrubs between each campsite, so it felt pretty private. Full hookups, as well. There is a golf course right next door, and we stumbled on the day use area with a really nice botanical garden that is readying for a big expansion, it seems. There is also very nice hiking up into the hills with wonderful views. The only downside was some highway noise, but we stayed far enough away that it did not bother us. We camped at El Chorro Regional Park Campground in a Travel Trailer. Stay in the R loop as it is furthest from the road. Wine country tours, beach, Hearst Castle, San Luis Obispo Mission, San Luis Obispo Lighthouse tour (oldest Victorian style lighthouse) all nearby. 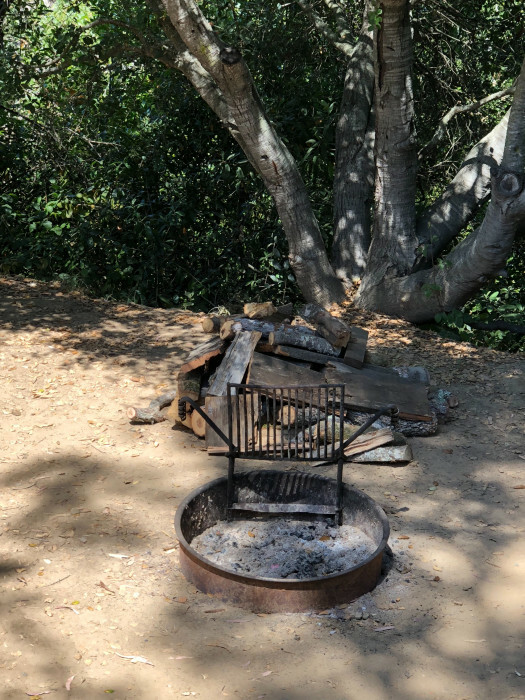 Are you affiliated with El Chorro Regional Park Campground ?